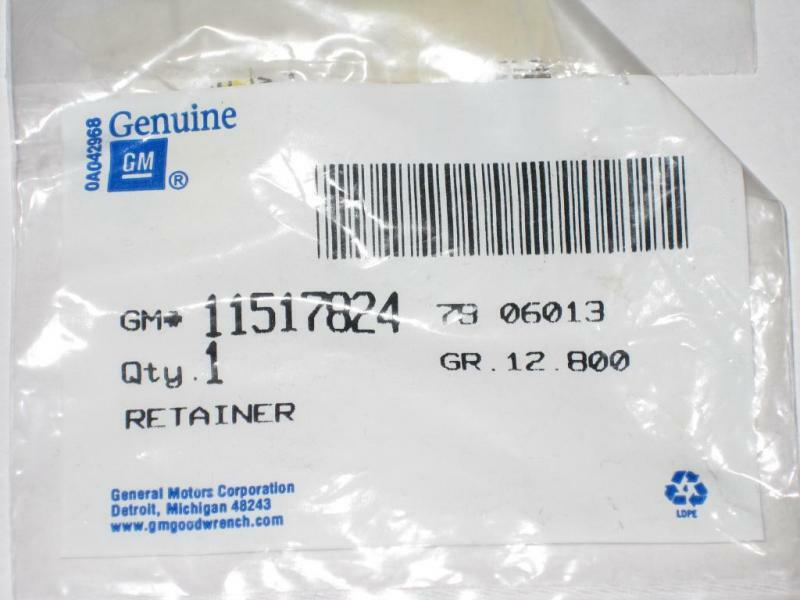 GM Flush Plastic Trim Retainers. 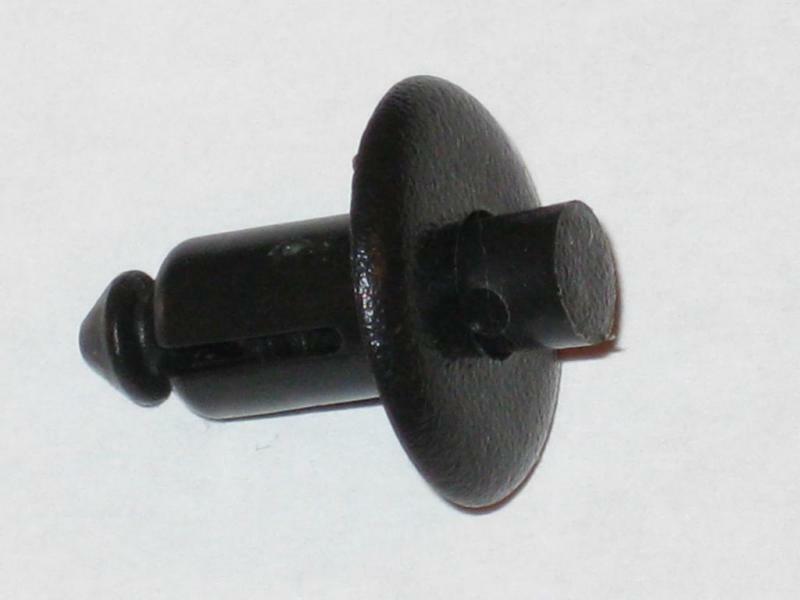 This style of retainer is used for a couple of different 2000-05 Bonneville applications. Most frequently, people will find two of these above the instrument cluster to help secure the surrounding trim in place. The other common location is the trim panel in front of the base of the windshield that encloses the windshield wiper motor and related components. I recommend treating these gently because they are quite expensive for what you get. There are several different diameters and lengths but the part number for the two Bonneville applications listed above is #11517824. This two piece retainer assembly has a movable core and an outer plastic housing with three expandable tabs. It is this outer portion that actually serves to secure the applicable trim panel in place. 1. INSTALLATION POSITION. You can see that the centre core is protruding out of the retainer assembly. You’ll also notice the three tabs on the back have contracted and allow for the retainer to be inserted into the trim panel securing hole. 2. LOCKED / SECURED POSITION. 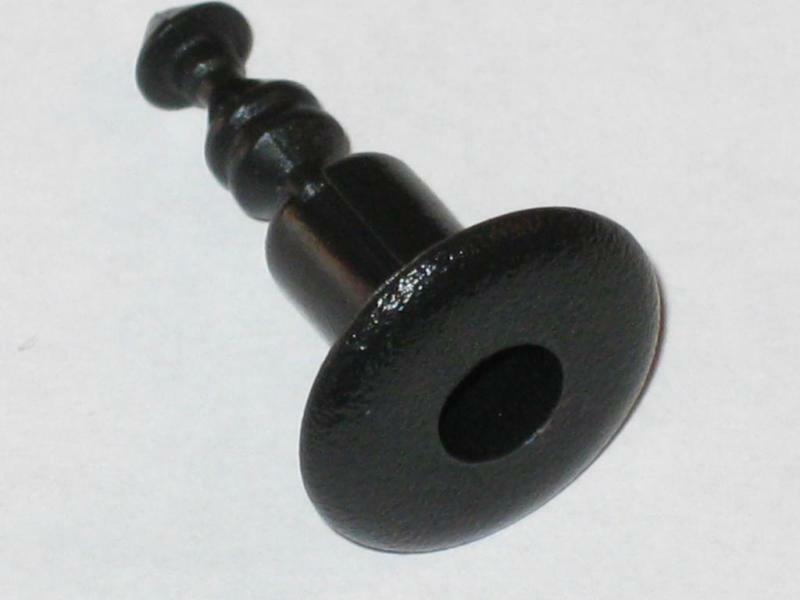 Once the retainer is positioned into the trim panel, the centre core must be pressed in until one click is heard and felt. In this position, the core will be virtually flush with the outer portion of the retainer assembly. You'll notice the three tabs on the back of the retainer assembly have expanded preventing it'* removal from the trim panel and securing hole. 3. RELEASE / REMOVAL POSITION. 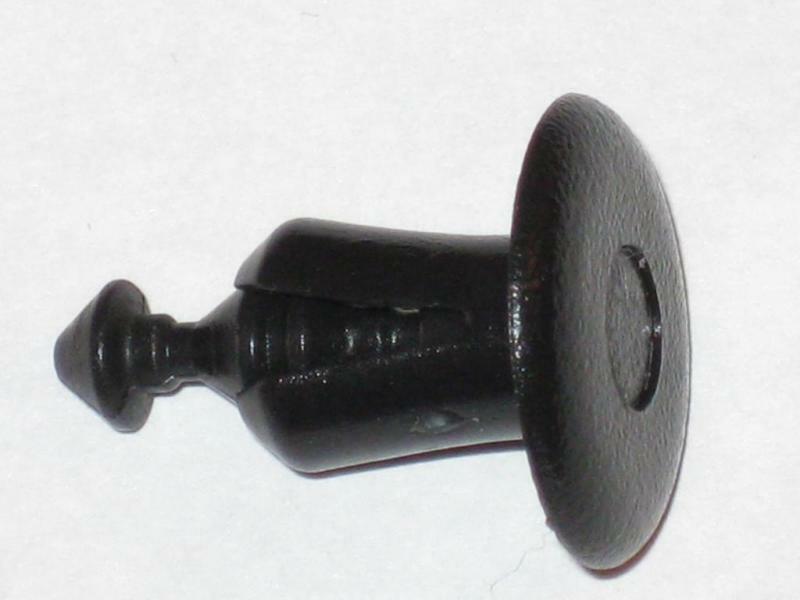 When the retainer needs to be removed, the centre core is pushed further into the retainer assembly until a click is heard and felt. If the retainer has never been released, it may take some firm pressure to achieve this. You’ll notice that the core is now recessed below the surface of the retainer and the three tabs on the back are again contracted allowing for the entire retainer to be removed from the trim panel. Once you remove the retainer, you must manually move the centre core and reset it to the ‘Installation Position’ for re-insertion.